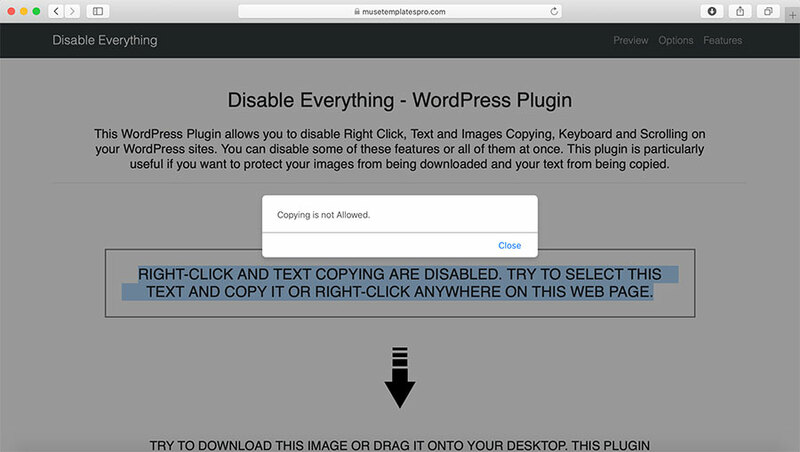 Disable Copying – This plugin can disable Text and Images Copying on your site and help you to protect your content. 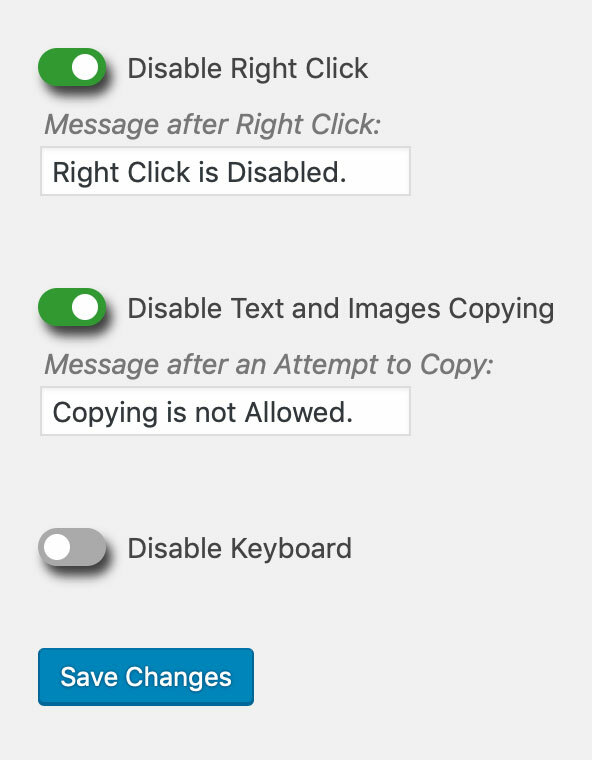 Disable Mouse & Keyboard Features – This plugin can disable Right Click and Keyboard Keys on your site. 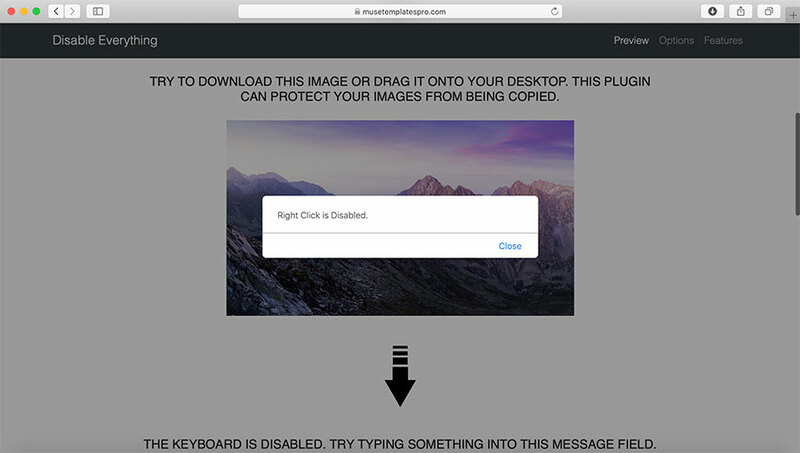 Custom Notification – You can display the custom message after an attempt to copy your content. Mobile Friendly – This plugin works great with phones, tablets and desktop computers. So everything you choose will be disabled on every device. Well Documented – This plugin comes with the full documentation, so using it becomes even easier.